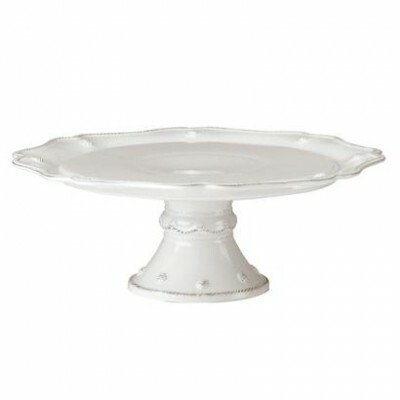 From our Berry and Thread Collection - This sweetly sophisticated stand is as versatile as it is lovely. Sprinkled with berries, it elevates desserts, cheeses, or nibbles to the peak of perfection on your table. 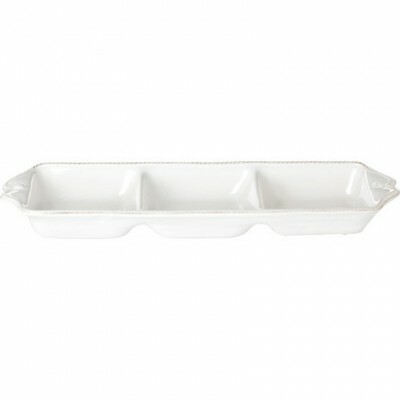 Our ceramic stoneware is made in Portugal and is oven, microwave, dishwasher, and freezer safe. From our Berry & Thread Collection - Our cake serving duo is ready to celebrate! From a once-in-a-lifetime wedding cake to annual holiday pies this set will quickly become a family heirloom. From our Berry and Thread Collection - Being "square" never looked so appealing. Embellished with modern restraint, '50s housewives would swoon at the ease of taking culinary creations straight from the oven to the table with such seamless sophistication. Our ceramic stoneware is made in Portugal and is oven, microwave, dishwasher and freezer safe. 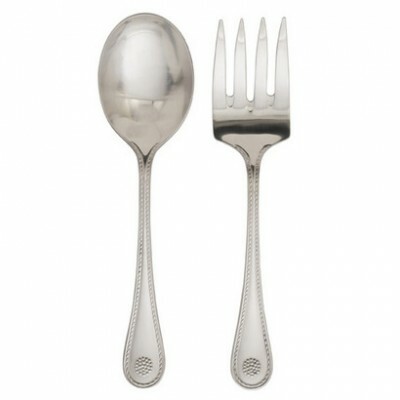 From our Villandry Collection - The warm luster of a hand rubbed finish and overscale continental sizing makes this 18/10 stainless steel set as unique as it is useful. Featuring our regal garden medallion, they pair perfectly with our Jardins du Monde and Country Estate collections, or can stand alone as a splendid hostess gift. 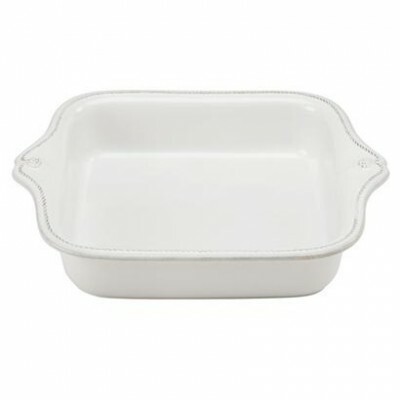 From our Berry and Thread Collection- make a stylish entrance with this versatile serving piece that can go straight from your oven to the table for a moveable feast that makes volunteering to bring your signature dish a cinch. Our ceramic stoneware is made in Portugal and is oven, microwave, dishwasher and freezer safe. 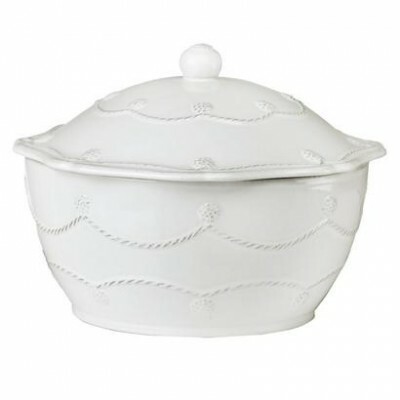 From our Berry and Thread Collection - Tidy, lovely, and sublimely useful to keep on hand for anytime-entertaining. 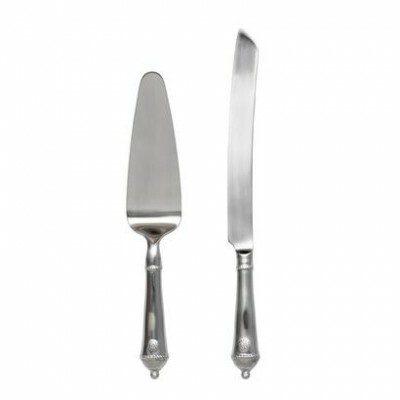 Scalloped handles and a threaded edge makes presenting nuts and nibbles an effortless endeavor. Our ceramic stoneware is made in Portugal and is oven, microwave, dishwasher and freezer safe. 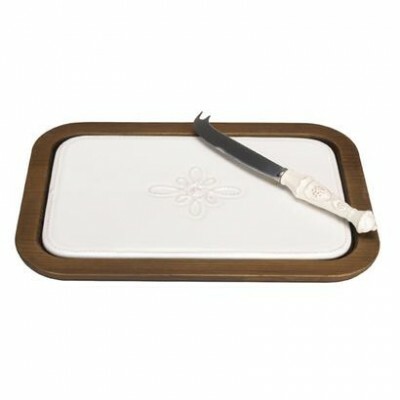 From our Jardins du Monde Collection - Set in pine and featuring an elegant medallion, our ceramic cheeseboard and cheese knife set is perfect for cocktails at sunset. Comes pre-boxed for chic and easy gift-giving. From our Berry and Thread Collection - Cocktails nibbles are a must! Serving warmed almonds from a gleaming silver bowl makes this ritual simply lovely. 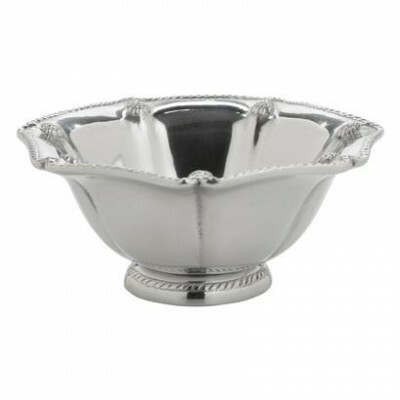 Classic with its fluted and scalloped edge, our petite hotel silver bowl is a chic and easy charmer needing no polish to keep its radiant luster. Polished, but not pretentious, the elegant style of hotel silver is re-created in casual metal that doesnt require polishing. Each piece is hand-cast of aluminum and buffed to a luminous silver finish. From our Berry and Thread Collection - Polished, but not pretentious, our versatile medium tray is a brilliant nest to showcase sparkling votive candles or to beautifully catch household items. 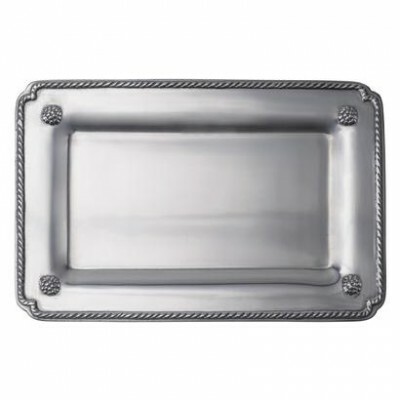 Our effortless tray is hand-cast of aluminum and buffed to a luminous silver finish that doesnt require polishing.